Bengaluru: Builders across cities are rushing to complete the projects they promised as courts and customers hold them to their words ahead of tighter real estate regulation. The result: A large number of projects that were stuck are now set to be completed and delivered during the current financial year, led by big builders such as DLF Ltd and Supertech Ltd. Some of the long-delayed projects from builders such as Jaypee Greens and Emaar MGF Land Ltd are also expected to be delivered during the year. In March, the centre passed the Real Estate (Regulation and Development) Act, 2016, (RERA) which ensures transparency from builders, with stringent provisions for compensation in case of delays. It is a model law, which means it is up to the states to draft and pass their own laws according to the guidelines, as land is a state subject. Average delivery of projects as a percentage of under-construction stock across the top nine cities increased from just 2% in 2013-14 to 9% in the first four months of 2016-17, according to a research report dated 26 July by real estate portal PropTiger. DLF will hand over houses adding up to 15 million sq. ft, its highest delivery in several years, said Rajeev Talwar, chief executive at the country’s biggest real estate developer. This will include the first phase of Capital Greens, claimed to be New Delhi’s biggest group housing project, accounting for about 2.5 million sq. ft, said Talwar. DLF has been delivering 10-12 million sq. ft of houses in the past two years and plans to finish all the projects in Kochi, Lucknow, Panchkula and Bengaluru by the end of this financial year, the company had said earlier. The developer does not plan to launch any new projects until most of those under construction are nearly complete. According to a July report by property consultant Knight Frank India, with a large number of houses lying unsold across top cities, the first six months of 2016 witnessed the fewest project launches in the past three years. “Given the state of the real estate market on the residential side and the impending RERA, the next three years would be extremely heavy on real estate delivery,” said Rajeev Bairathi, head of capital markets & North India business at Knight Frank India, adding that builders don’t want to be under RERA’s ambit. Supertech, which is constructing north India’s tallest residential building (North Eye in Noida), is set to deliver the project comprising 12,000 units in 2016-17, said chairman R.K. Arora. This will be considerably more than the 8,000 flats it delivered in 2014-15 and 2015-16. “There is this feeling in the developer camp also that they have to ensure that delivery is in place and with more and more developers opting for institutional funding, that problem is also taken care off,” said Anurag Jhanwar, business head (consulting and data insights) at PropTiger. Both DLF and Supertech have also been embroiled in court cases. The Supreme Court on Friday asked DLF to compensate home buyers who haven’t received their flats yet in its project in Panchkula, Haryana. 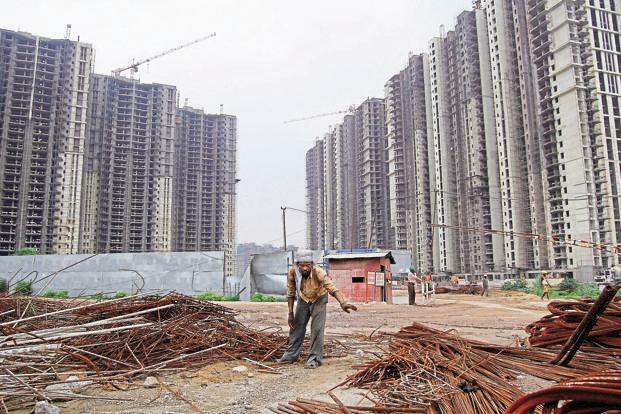 Supertech is contesting an order at the Supreme Court after the Allahabad high court sought the demolition of its Emerald Court project in Noida, in the wake of alleged violation of construction and safety norms. “We want the developers to settle, but the company says they will only act on court order. They keep postponing the delivery and when the court lashes out at them, they say there are no funds. We hope the RERA will bring some relief,” said Pankaj Kapoor from La Tropicana Residents Association, which represents buyers from Parsvnath Developers Ltd’s project in New Delhi, which has been delayed for more than three years. According to information on the website of Emaar MGF, which has faced a consumer backlash for its delayed projects in Delhi-NCR, it will start handing over several projects by December. The developer is planning to deliver projects such as The Grace and The Avenues in Chennai later this month, followed by the second phase of The Palm Drive and Palm Studios in Gurgaon from December. The company recently received occupation certificate for the first phase of its 200-acre Emerald Hills project in Gurgaon. Emaar and MGF are parting ways, and work is expected to pick up pace after the separation, with Emaar retaining most of the under-construction projects. Omaxe Ltd also expects to maintain its average of delivering about 6-7 million sq. ft of houses in 2016-17 and finish all the Delhi-NCR projects within the next five-six months, according to Omaxe CEO Mohit Goel. “It is bound to bring consumer sentiment back, but it will also include couple of other factors such as affordability and interest rates. With all of them put together, we are definitely looking at the revival of the market,” said Shveta Jain, managing director, residential services, Cushman & Wakefield, a property consultant. Several other projects including IREO Management Pvt. Ltd’s Skyon in Gurgaon, Experion Developers’ Heart Song, Gurgaon, as well as long-delayed Parsvnath Developers Ltd’s La Tropicana in New Delhi and Jaypee Wishtown in Noida are also expected to start deliveries in 2016, Jain added. “Delivery would become the new normal, unlike in the past where it was a luxury,” Jhanwar said, adding that it will result in positive consumer sentiment which will generate new demand bring more cash flows.